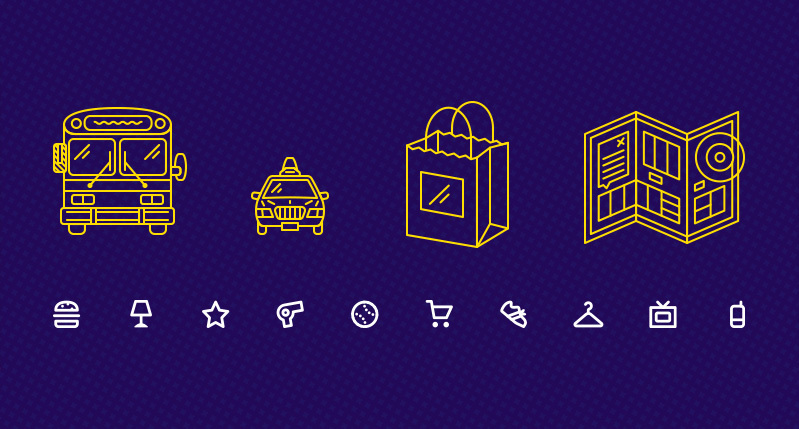 I am a senior user experience designer at Intersection, a company specializing in technology for urban spaces. 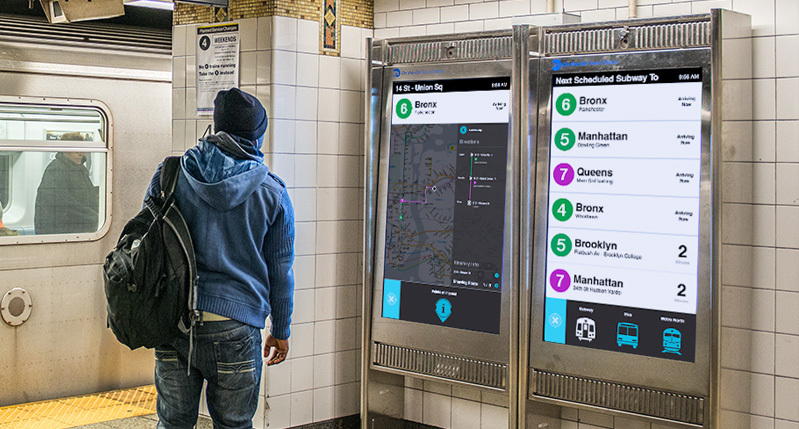 I currently work on the transit product team, where I lead UI/UX design on our wayfinding kiosks for the MTA in New York and the VTA in California, among other transit agencies. 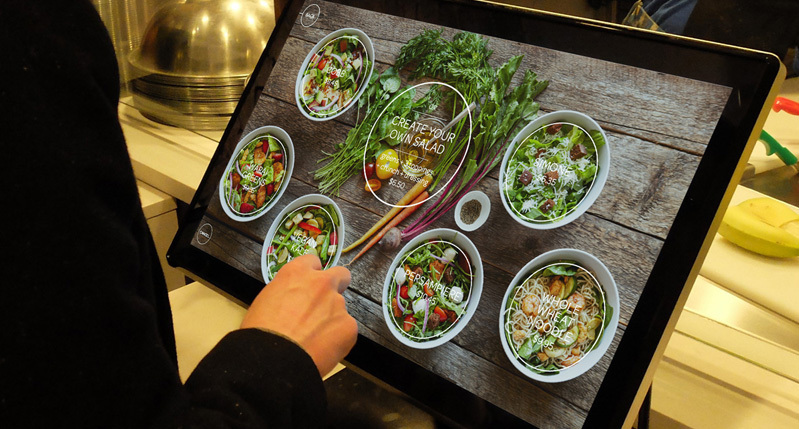 Prior to that project, I collaborated with Camille McMorrow (class of ’12) on an interactive menu platform for honeygrow, a fast casual restaurant chain, where we brought a more direct and delightful ordering experience to the customer. 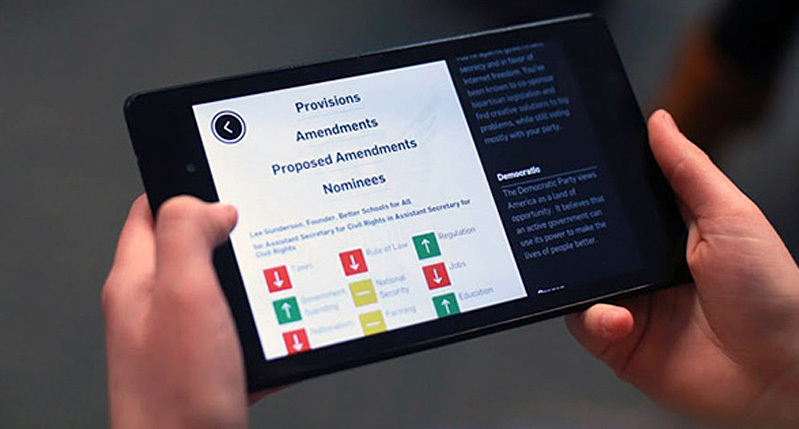 Before that, I was a key designer in an interactive museum experience for the Edward M. Kennedy Institute, where students and adults can learn about the inner workings of the US Senate through exhibitions and collaborative games. I was fortunate enough to accept an award for our work when Intersection won Best in Category in Connecting at the IxDA ’16 Interaction Awards in Helsinki. My thesis, You’ll Be Fine, was to be a website providing medical information for people in their early 20’s, right when they were getting out on their own for the first time. Technology has quickly progressed since I graduated in 2008, most notably in smartphone technology, opening up many more avenues for people to be informed about their own health. As exciting as that is to see, I’ve since moved on from that project to pursue other personal projects. Even so, You’ll Be Fine has taught me much about the process of starting an idea from scratch and building it up into something of substance. The Thesis Forum started the year after I graduated, and it’s been amazing to see how it’s grown in the years since. As an audience member (or occasional presenter), I’ve witnessed firsthand how the Forum creates those unique opportunities for the students and their thesis projects and gets them in front of the people that can help them take it to the next step. The projects themselves have evolved since the Thesis Forum began; aside from the increased production value from year to year, the students have opened their minds to more ambitious projects that work to solve larger and more complex problems through a more global viewpoint. The MFA Design program was a whirlwind of two years. One of my favorite parts was being crammed into the studio space with my fellow students – first the year above, and then the year below. At no other time in my life have I been surrounded by so many talented designers, all with varied ways of looking at the same problem. I continue many of those friendships I started back in that studio, and their work keeps me constantly inspired. Teaching at SVA MFA Design has been one of the highlights of my post-graduation career. I look back fondly on the years I co-taught with Gail Anderson and the students I befriended along the way. Every time I can contribute to the program, whether it’s running a lecture or workshop, being part of the thesis review panel, or participating in the portfolio reviews, it feels great to give back after everything I’ve gotten out of it. SVA MFA Design has had a huge impact on my career; my job after graduation was through a lead from the program, and the lasting connections I’ve made through faculty and fellow students continues to push my work forward. 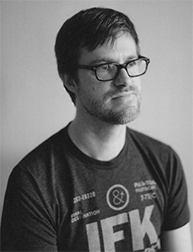 The lessons I learned in those two years stick with me in everything that I do professionally, from working through ideas to communicating and presenting design with confidence and clarity. The “do it all” approach to the program helped me to become incredibly self-reliant and remove the barriers to what I can accomplish. It is exactly what I had hoped the program would do – by providing so many tools and processes to choose from, it allowed me to experiment and not be afraid to try new things, something I still practice today. Even when I’m working with others, I have a better sense for what’s possible within the constraints of the project. In terms of advice for incoming students, I’d say to spend as much time as you can in the studio – late nights, early mornings, all of it. Two years will go by very quickly, and the bonds you make with your fellow students and faculty can last a lifetime, but only if you’re there to make it happen. Throw every part of yourself into your time in the program; you will get out of it what you put into it in every way. And the workload at times can feel overwhelming, but it may very well be the most concentrated creative experience of your life, so it’s worth it. Check out my site at joshuahester.com and feel free to drop me a note on any of the social media platforms.